If you have mild dental anxiety, your dentist may recommend nitrous oxide, also known as laughing gas. This is the mildest level of sedation dentistry. It won’t put you to sleep, and you’ll still be able to respond to the dentist’s requests and questions. Laughing gas has an excellent track record of safety in both adults and children. About five minutes before beginning the procedure, the dentist will apply a face mask to administer the inhaled gas. You’ll start feeling relaxed within a matter of minutes. Once the dental procedure is completed, the dentist will turn off the gas. You may continue to receive oxygen for a few minutes, which will help you regain alertness faster. Generally, it only takes a few minutes to shake off the effects of the gas. However, for safety’s sake, the office staff may ask you to remain for about 15 minutes to ensure that you’re fully alert before driving. 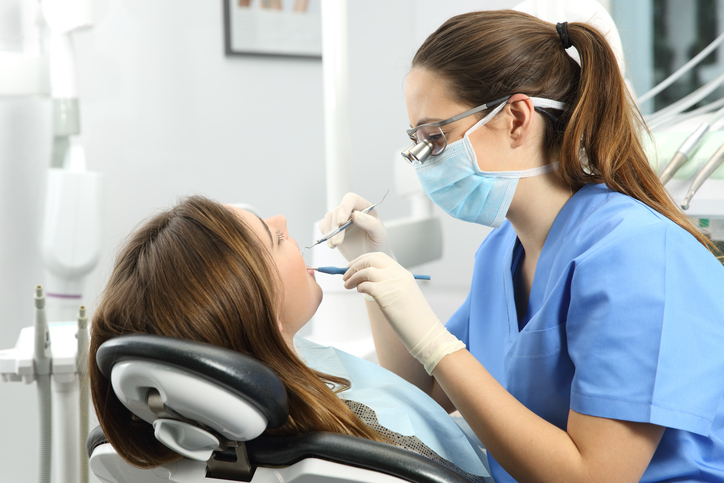 The team at Park 56 Dental is certified and licensed to administer sedation dentistry in NYC. Schedule an appointment today by calling a friendly staff member at (646) 783-3529.